Susan J. Wall’s legal career spans more than 25 years. Since joining Gibley and Williams in 1997, she has worked primarily in areas of premises liability, construction litigation and construction contract litigation. Her background includes extensive advocacy experience in the Pennsylvania, New Jersey and Federal Courts, as well as appellate practice. Ms. Wall has tried cases to verdict and arbitrated numerous cases in State and Federal Court. Additionally, she has successfully tried contract actions before American Arbitration Association panels. She has developed and presented training seminars on retail and premises liability issues for a number of the firm’s major retail clients. Prior to 1997, she focused her legal practice in civil defense, handling automobile, premises and construction site litigation for the firm of Bolger, Picker, Hankin & Tannenbaum for three years. 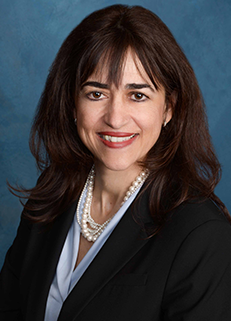 From 1990 – 1993, she gained significant experience as she prepared and participated in personal injury trials as a litigation associate at the law firm Fox, Rothschild, O’Brien & Frankel.